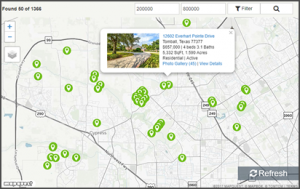 One of the nice things about the homes for rent in Magnolia TX is the range of rental prices. In some cases, it is indeed possible to find attractive rentals for less than 1000 dollars a month. While this is possible, you probably shouldn’t count on it. This is particularly true, as it relates to what you are ultimately looking for in a place to rent. Most rentals are in the high 1000 dollar range, with a number of properties renting for 2000-3000 dollars per month. 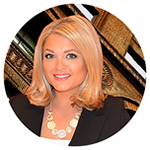 This means that regardless of how much you can put towards renting in Magnolia, you should be able to find some possibilities that will appeal to you. A number of different communities and neighborhoods define this bustling, engaging small town. 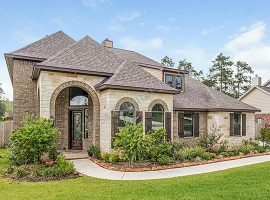 Lexington Estates, Magnolia Hills, Decker Woods, and Windmill Estates are just a few examples of the way Magnolia TX is broken down into a series of elaborate, endlessly impressive, and extremely secure neighborhoods, gated communities, and more. Homes for rent can be found across many of these neighborhoods, which perhaps explains the wide assortment of rental prices. To put it another way, if you are looking for a modest townhome, suitable for singles, couples, or small families, you are going to have a number of possibilities. On the other hand, if you want a large home with acreage, it is entirely possible to find exactly what you are looking for. That is one of the reasons why Magnolia continues to be such a popular destination for so many different people. Just about anyone can find something here. Beyond the homes for sale/rent in Magnolia, there is a lot to this community that you can appreciate. 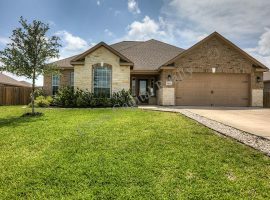 While Magnolia is indeed a small town, you will find that the homes for rent in Magnolia TX reveal that this is also a decidedly modern town. Going beyond these homes, you are going to find restaurants, shopping, parks, outdoor venues, bars, grocery stores, and everything else you would likely want from your immediate surroundings. Furthermore, if you are looking for a great place in which to raise a family, remember that the homes in this community are supported by the exceptional, award-winning schools that make up the Magnolia Independent School District. The community as a whole benefits from amazing institutions on the elementary, middle, and high school levels. There are other institutions of learning throughout the county, as well. Living in Magnolia TX means living in Montgomery County. 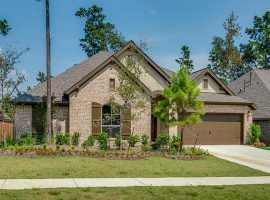 This means you are going to enjoy a close proximity to not only Conroe TX, but also to The Woodlands. These are two major centers of employment in the area, in addition to having much to offer in the way of shopping, dining, golf, fun things to do, and just about anything else you can imagine. 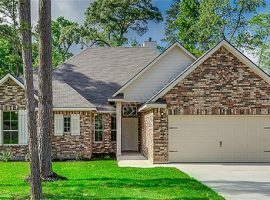 If you plan to work in either of these areas, you will certainly appreciate the fact that the homes for rent in Magnolia TX are going to give you an easy commute each day. In addition to all of the above, the homes for rent in Magnolia put you just forty-five miles away from Downtown Houston. This is an epicenter of employment, culture, fun things to do, and so much more. If you plan to work in the Downtown Houston area, which includes the famed Inner Loop, living in Magnolia can be a perfect arrangement. You have easy access to the city, but you also have a community that is a whole other world. 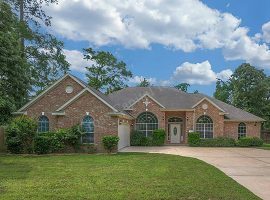 Renting in Magnolia TX is a great way to decide if you want to make a permanent move to Magnolia. The homes currently available will give you all of the benefits of living in this remarkable town.